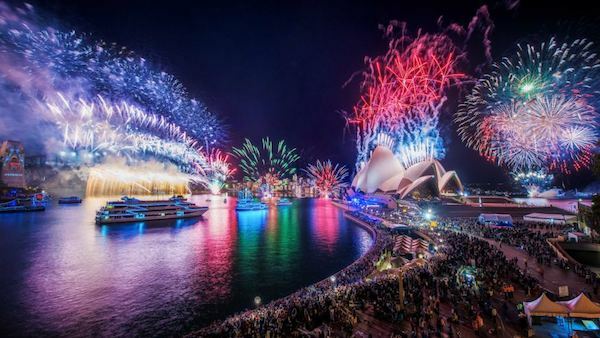 Any Boat specialise in New Years Eve Cruises so we have a good understanding of what boats are suitable for a New Years Eve cruise and which boats are not. Rockfish I is one of those boats that pretty much ticks all the boxes for low cost new years eve cruises. Rockfish I is a Seawind Resort catamaran and is able to hold up to 30 people on New Years Eve cruises. It is probably a little more comfortable with 25 people on board but 30 is fine. They are BYO friendly which means that your New Years Eve cruises on Rockfish I wont have any hidden costs. BYO food can be what ever you like and Rockfish I has a BBQ available for you to use if you need. They do not have a full galley available so simple food is advisable. New Years Eve cruises are supposed to be fun so you don’t want anything that will be too time consuming to prepare anyway. Substantial food is required though since you will likely be drinking on any New Years Eve cruises and by law substantial food must be available. If you prefer your new years eve cruise to be catered then Rockfish I can organise catering. Naturally there will be costs associated with it and due to the nature of the night catering for New Years Eve Cruises is more expensive than on other nights. The captain of Rockfish I is also happy for you to BYO drinks on New Years Eve Cruises. The choice of what to drinks is up to you but the thing to bare in mind is that the captain does have to follow RSA laws on new years eve cruises to ensure passenger safety. There are two huge built in eskies that you are welcome to use. All you have to do is supply the ice and drinks. The great thing about Rockfish I is the open layout and large outdoor areas. 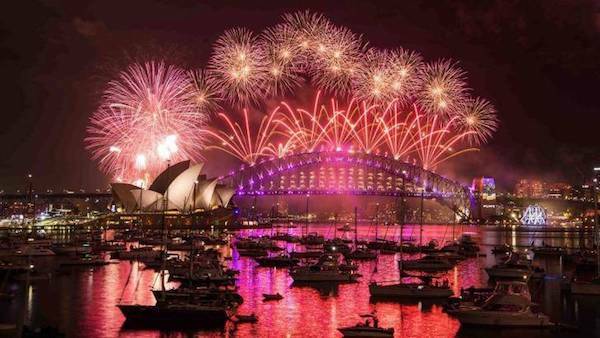 New years eve cruises Sydney are all about spending time on the harbour and getting a great view of all the new years eve action including the fireworks. Rockfish I has a huge bow offering guests an uninterrupted view of the fireworks. You don’t have to worry about looking out the window to see the fireworks on new years eve cruises as everyone can be outside under the stars. Rockfish I was also custom built so that the roof above the cockpit can take the weight of a few people, so if the foredeck is a little crowded for new years eve cruises you can feel free to climb on the roof for an even better view. With all of the boats on the water for news years eve cruises Sydney it is best to stay on board the vessel however it will be the middle of Summer so if you want to go for a swim on your new years eve cruise Rockfish I has stairs at the rear allowing guests to easily access the water. New years cruises are great fun no matter what boat you are on and the crew of Rockfish I go out of their way to ensure that everyone has a good time. So long as everyone is behaving and being safe the staff are happy for new years eve cruises to go at your own pace. New years eve cruises on Rockfish I usually start at 5pm and finish at 1am but this time does vary. We will let you know when you book what time your new years eve cruise will be heading out and coming back. If you are interested in new years eve cruises on Rockfish I contact us and we will get the ball rolling.